Home Indie Games Pixel Blocked! Arrives to PC! Pixel Blocked! Arrives to PC! 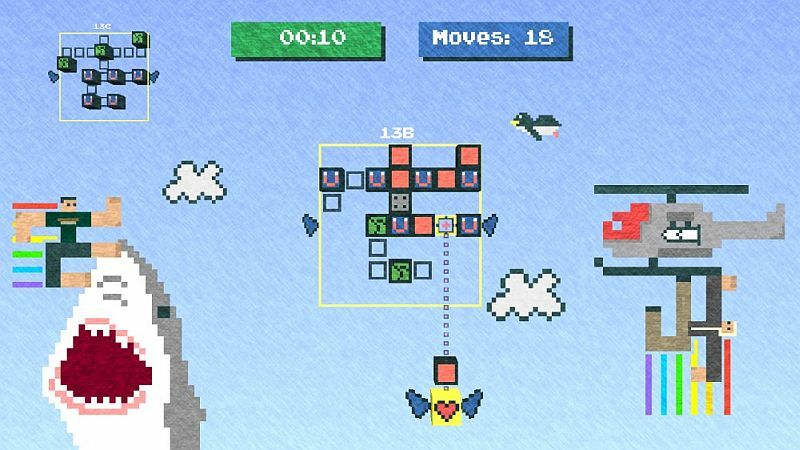 The hit puzzler Pixel Blocked, initially available only on Xbox 360 has now become available for PCs worldwide, according to a recent announcement from indie developer Daniel Truong. Described as “one of the best new puzzle engines to come around in a decade” by Kairi Vice, Indie Gamer Chick – Pixel Blocked! – is now available for purchase on Windows PCs DRM free for $5USD at its official website. Featuring over 180 unique puzzles, Pixel Blocked! is designed to challenge the spatial logic, speed, and critical thinking skills of players of all ages. The object of this simple yet challenging puzzle game is to fill in the missing blocks in the outlined image. Shoot blocks against an initial foundation to start and advance through increasingly difficult levels. Make sure to plan ahead and watch out for those tricky Magnetic and Crumble Blocks! – 8-bit inspired puzzle shapes: Over 180 increasingly difficult puzzles. – 3 difficulty levels: Apprentice, Artisan and Master. – Awardments: Earn up to 200 awardment points for completing various challenges. – Unlockables: Unlock unique sky backgrounds, original characters and new modes! – Backgrounds: Discover the 31 new and exciting backgrounds for each puzzle shape. So visit PixelBlocked.com for a cheap purchase of the game! Horrifyingly Fun Game You Should Try, If You Can!